Major Owen Leech Tripook (Royal Field Artillery) dies in Baghdad at age 36. He is the son of the Reverend John Crampton Triphook Rector of Little Tey. Private Leslie Holland Durrington (Royal Fusiliers) dies on service at home at age 24. His brother died of wounds on the last day of the Great War. Private Frank Phillip Roote (Suffolk Regiment) dies at home on service at age 24. His brother died of wounds in 1917 at home and is buried in the same grave. Driver Herbert E Armour (Royal Field Artillery) dies of illness at home. His brother was killed in May 1915. Lieutenant (Army Service Corps) dies as a result of war service at age 39. 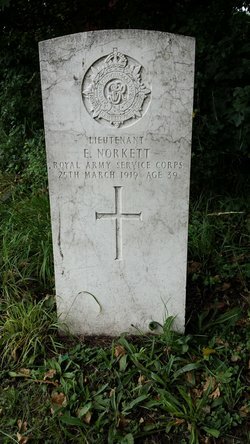 His only child Captain Walter Edward Norkett (Army Service Corps) will be killed in 1940 at Dunkirk. Driver Sstanley Diplock (Royal Field Artillery) dies as a result of an operation at age 25. His brother was killed in April 1916. Captain Harry Young (Royal Garrison Artillery) dies of influenza. His brother was killed n June 1916. Stoker Percy Franklin (HMS Boadicea) dies of illness at age 25. He will be buried in the same grave as his wife’s first husband who died on service in April 1915. 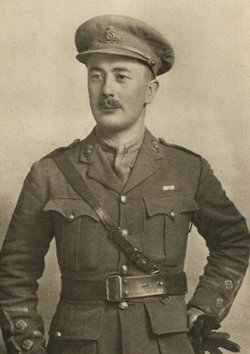 Brigadier General John Francis Innes Hay Doyle (Royal Field Artillery) dies of pneumonia while on service in Flanders at age 45. He is the brother of ‘Sir’ Arthur Conan Doyle. Major Constantine James Phipps DSO MC (Royal Engineers) dies on service at age 26. His brother was killed in July 1916 and they are sons of Canon Constantine Osborne Phipps Vicar of Lee Great Missenden. Lieutenant Gerald Vivian Oldrey (Nottinghamshire Yeomanry) dies on active service in Egypt. His brother was killed in October 1914. Second Lieutenant James Gibson Grant (King’s Liverpool Regiment) dies of illness caused by hardship and exposure while on service. He was the brother of Andrew Lang, the historian and writer. Sapper Henry Errington Kirby Byard (Royal Engineers) dies in France at age 27. He is the son of the Reverend H Kirby Byard. Air Mechanic 2nd Class John Henry Toole (Australian Flying Corps) dies on service at age 29. His brother was killed last August. Gunner Reginald Eggleton (Royal Field Artillery) dies on service at home at 22. His brother was killed in action in October 1917. The minesweeper HMS Penarth strikes a mine and sinks off the Yorkshire coast while sweeping Great War mines. It remains one of the worst peace-time disasters ever sustained by the Royal Navy. Lieutenant David Wainwright (Royal Navy) takes command of the situation at once superintending the manning and lowering of the starboard gig and later the launching of the Carley floats. Hearing that a stoker is injured in one of the stokeholds, he calls for volunteers to show him the way and makes his way forward. There is by now a heavy list to the ship and it is apparent she will not reamin afloat much longer the upper deck on the starboard sied being already awash. Lieutenant Wainwright makes his way below unaided and while he is in the stokehold the ship strikes a second mine. The foreport is blown off and sinks and he is forced to wait until the stokehold has filled before he can float to the surface up and escape. For his efforts on this occasion he will be awarded the Albert Medal. A total of two officers and thrity-three ratings are killed in the loss., with two ratings dying later. Corporal George Rowlands (Duke of Cornwall’s Light Infantry) saves a man’s life at Clonmany, County Donegal, Ireland during a hand grenade accident. For this action he will be awarded the Albert Medal. Lieutenant Colonel William Ronaldson Clark (Royal Army Medical Corps) dies on service at age 58. He is the son of the Reverend John Sim Clark. Lieutenant John William Thomson (Royal Garrison Artillery) dies of pneumonia at age 27. He is the son of the Reverend R Thomson. Lieutenant Basil Raherne Garrod (North Lancashire Regiment attached Royal Air Force) is accidentally killed in Germany at age 21. He is the son of ‘Sir’ Archibald E Garrod KCMG the Regis Professor of Medicine at Oxford. 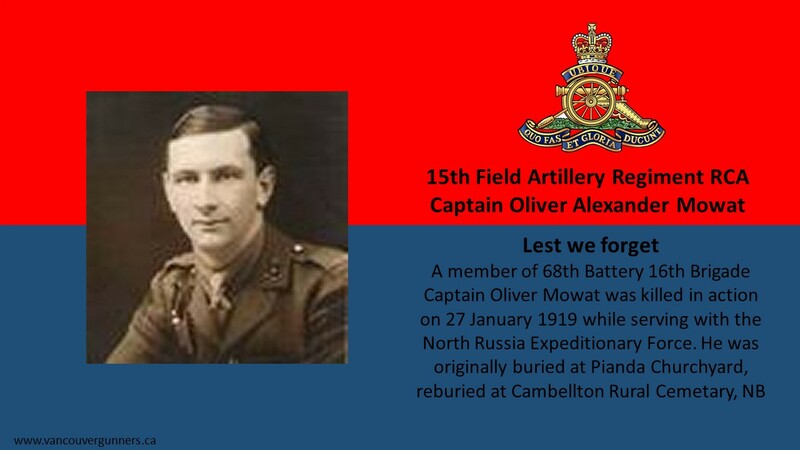 Captain Oliver Alexander Mowat MC (Canadian Field Artillery) is killed in action with the North Russia Expeditionary Force at age 25. His brother was the 15th victim of Max Immelmann being killed in May 1916. Lieutenant Franklin George Ekins MC (Royal Irish Regiment) dies in France at age 24. His brother had been killed in action in May 1917. They are sons of the Reverend George Richards Ekins Vicar of St Timothy Sheffield.